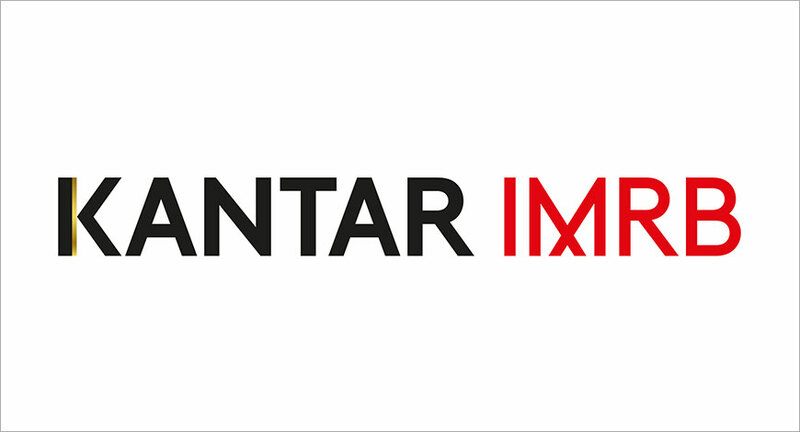 Kantar IMRB has presented a comprehensive report on predictions for 2019 from a plethora of consumer insights across companies. The report uses data and reference from various business units within Kantar and a host of syndicated studies such as- Target Group Index –Kantar IMRB, Global MONITOR 2018- Kantar Consulting, Kantar Worldpanel, eMarketPulse- Kantar IMRB. The report will provide sharp insights to brands on what to expect from the market and solutions to reach out to the consumers in the most effective manner. The outlook for India has never been so uncertain. With national elections looming a few months from now, the voter/consumer has much to consider. The resultant instability, compounded by a fast-changing technology, financial and business landscape has created a deep sense of insecurity in Indian consumers. Their overriding response would be to seek stability. “At Kantar, we recognize that it is imperative to achieve a balance of human insight and data-enabled decisions in both the business world and our personal worlds. While data might give us the confidence to believe, our personal experience and foresight give us the guidance to act differently and courageously. In identifying the key trends and how they may manifest over the coming year, we have attempted to exhibit that spirit of digging deep and finding stability “, said Preeti Reddy, CEO, South Asia, Kantar Insights Division. Brands and categories which recognize the consumer for who they are and where they are will flourish. Expect identity and location data to be more precious than ever. For online retailers, a small-town push would be a no-brainer. Overall e-commerce spends by non-metro shoppers have quadrupled in 2018, while e-tail spends by metro shoppers have grown by 3X. The recognition of diversity and inclusion is inexorably making its mark in the consumer’s consciousness. A focus on regional language support – driven by technology use in local languages, has seen Google announce the addition of Marathi for its popular Google Assistant, with plans afoot for seven more Indian languages, including Tamil, Bengali, Gujarati, Telugu, Urdu, Kannada and Malayalam. User-generated content will grow by leaps and bounds as people of all shades and intentionally seek to be recognized. How marketers can understand human motivations and their diverse origins will pave the path for the fulfilment of their needs. There will be an explosion of agents of change. This will cause an evolution from coaching centres and middlemen, to enablers who are able to spot the potential and facilitate transformation, with technology playing the dual role of connector and showcase. Protector products are expected to see a sharp uptick as we go forward into 2019. Hand sanitizers, for example, have grown by a massive 59% in the previous year, Chyawanprash – the traditional Ayurvedic immunity booster, by 26%. #Metoo has spurred women to find ways of defending themselves. Smart jewelry brand Leaf Wearables embeds a device called Safer Pro – priced at only Rs 1899, which sends out an alarm signal and the user’s location to predetermined contacts. The smart device recently picked up the $1 million Xprize for Women’s Safety. Expect more such devices, especially for young children, to hit the market soon. With technology and social media giving birth to new forms of threat such as online trolling. Brands will have to create a stable, positive environment and enable support groups to change the discourse of negativity. At the same time, the entertainment industry – where the portrayal of women as victims hitherto pandered to the male gaze and fantasy – will be compelled to change their storytelling and bring in more powerful women’s voices. 76% of Indians say that they’re looking for new experiences and sensations that will liven up their everyday activities. The percentage has increased from 64% in 2017. Indians are most likely to look for experiences that allow them to help and connect with others, are memorable and make them feel recharged. Mobile gaming has taken off and with 250 million gamers, India is one of the top 5 gaming countries in the world. The desire for new experiences and stimulation is not limited to young people. For many seniors, laughing clubs are passé – they are running marathons, and pushing the boundaries of their physical capability and flexibility, like taking up dance after 60. The penchant for celebration, which has been magnified by the Great Indian Wedding, is now a regular occurrence. The momentum driving India’s Experience Economy will only increase in 2019. Over the last three years, the demand for adventure activities and local experiences grew by 178%, with the percentage of people above 50 years rising from 8% to 11%. According to beauty doyenne Shahnaz Hussain, over 700 spas are expected to open doors in the next two years. It’s an industry that is growing at 40% annually. Some travel agents are also reporting young inbound tourists paying anywhere between $150-250 to attend and experience the sensory overload of an Indian wedding. The multi-player game Player Unknown’s Battleground (PUBG) really took off after the launch of a mobile version in March. The ability to chat with other players adds significantly to its attraction. Going forward into the next year, we expect that many more brands will leverage the power of senses to attract consumers. This will provide a more engaging user experience, even as new technologies such as AR/VR offer immersion and superimposition of imagined worlds for the consumer. With gaming no more a niche experience, it presents a fantastic opportunity for brands to both be involved in the game ecosystem and to gamify their user experience. 149% more traffic congestion than comparable cities around Asia – that’s what Indian metro dwellers have to deal with. Traffic congestion in Mumbai leads to commuters spending 135 per cent more time in road travel than any other Asian city; commuters in Kolkata take 171 per cent more time than the average to travel during peak hours, the figure for Delhi is 162 per cent. With the changing contours of Indian cities, neighborhoods will become more significant than the city itself. The consumer’s expectation is that all the services will be delivered at the doorstep. While the benefit of proximity in terms of convenience is obvious, the opportunity for service providers is enormous. We are witnessing a reskilling of this workforce, particularly in the form of leveraging technology and improvement in customer service. The familiar warm relationship between the neighborhood grocer, chemist or barber will be increasingly enabled by technology. 91% of the people surveyed by Cashkaro.com said that they will spend more money on e-commerce sites in 2019. A massive part of that growth is expected to come from services, with specialized platforms gaining popularity over marketplaces. At-home service platforms like HouseJoy and UrbanClap have witnessed exponential growth in customers and service providers alike. The latter reported 2.5 million registered users, with 75% repeat users and average transaction value between Rs 1200-1500. The home chef business is pegged at Rs 408,040 crore in 2018; It is estimated that there are as many as 2 lakh beauty professionals across India, with nearly one-fourth of them being freelancers. Online curated beauty services platform Vanity Cube, which services between 150-200 bookings a day, expects that demand to grow 15X within a year. There’s a massive B2B opportunity for food, beverage and grooming brands to fulfil the unique needs of the service providers – in the form of new products and new ideas. Brands need to work out how to engage with them and convert them into advocates. Content marketing will become the norm – and it will be vital to help them create interesting content using the entire gamut of options from Instagram to TikTok. Simplifying the transaction through payment gateways will become as important soon, as rewarding customers and users for their loyalty. 53% of Indians (amongst those who use the internet) say that they wish social media had less of an influence in their lives. Even as technology engagement grows by leaps and bounds – the 18% growth in the number of smartphone users in 2018 is the highest in the world – a growing section of the population is reducing their screen time and seeking ways to reconnect physically with the world. Astronomy buffs in Mumbai head out to far-flung villages over the weekend; travel experience platform Unhotel offers walks in the Himalayas along with book readings and guided bird-watching. Mainstream newspapers like The Times of India propagate the joys of a Slow Life unhindered by technology. Even the Maharashtra government steps in to declare one day in a week as a ‘No Mobile’ day. Digital detox is emerging as a big business, starting at the very top of the heap. Tech platforms such as Android and the iPhone track and report all our screen time; Android labels it under the ‘digital wellbeing’ banner. The SHUT (Service for Healthy Usage of Technology) clinic in Bangalore has seen as steady rise in the number of patients seeking help for tech deaddiction ever since it opened four years ago; As more people embrace physical activity ranging from the new-age Zumba to traditional yoga to long-distance running and cycling, the athleisure market has exploded, growing by nearly 14%. Some 35000 people of all ages were at the starting line of the Delhi Marathon, each having paid Rs 1900 to participate. It is no small wonder that there are now over 1000 marathons organized in cities big and small across India. On a more sedentary note, even book reading clubs. Litfests have mushroomed across cities, from Pondicherry and Chandigarh to Pune, Jaipur, and Allahabad, some reporting a threefold increase in visitors over the last 2 years. The travel and leisure industry has much to feel optimistic about as more Indians seek physical and social in-person experiences. In the face of uncertainty and pessimism, this kind of reconnection and exploration provides platforms for stability. In 2019, we expect even more brands and industries to find opportunity in addressing the growing realization of the perils of technology engagement, particularly at a young age. Others will rekindle the nostalgia of relationships, memories, and places that allow us to rediscover ourselves. Tags Preeti reddy Kantar imrb Kantar Insights Division.